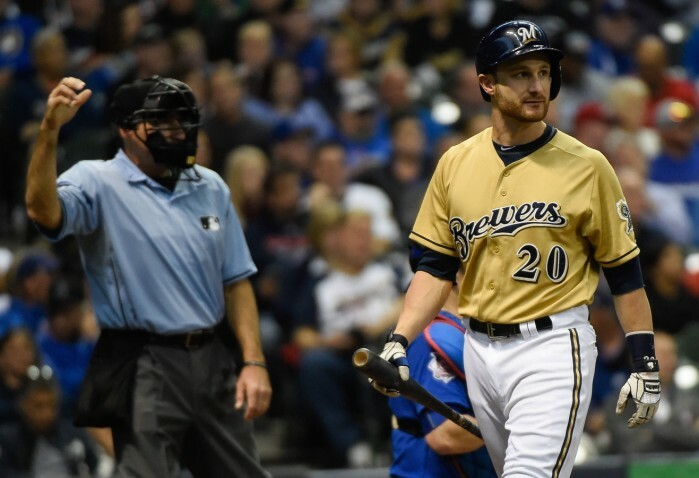 How Unlucky Was Jonathan Lucroy in 2015? Earlier this week, I covered one underappreciated element of Jonathan Lucroy’s 2015 hardship. Even without taking into account double plays, he clearly came up short — his TAv fell 52 points, from .306 in 2014 to .254 in 2015. For a team that lost 94 games and generally had trouble scoring runs, this only made matters worse. Whatever the Brewers do in 2016 will likely coincide with Lucroy: A bounceback from him will help them rack up victories, while another poor season will doom them to misery once more. Injuries bore part of the blame for Lucroy’s struggles, as they so often do in cases like this. First a hamstring strain in spring training, then a broken toe in late April, followed by a concussion in September — it seemed as though he couldn’t catch a break. 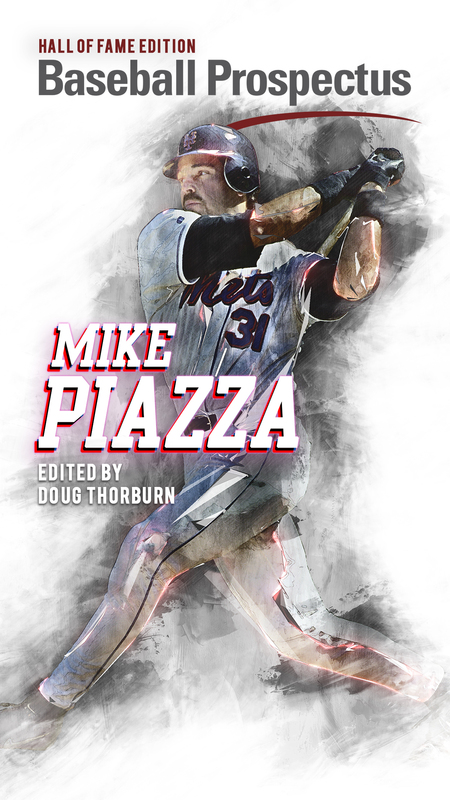 Convalescing in the offseason should bring back some spark to his game; with a healthy leg, toe, and head, he could swing the bat with the authority that he once did. It’s worth wondering, though, the role that luck — or the lack thereof — played in Lucroy’s 2015. In a world where everyone got what they deserved, how much better would he have produced? Based on some of his peripherals, I’d say a good deal better. It’s wOBA without strikeouts, walks, or hit-by-pitches — in other words, wOBA based solely on contact. 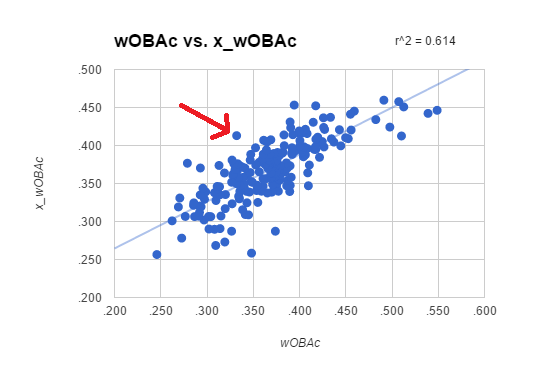 Whereas BABIP roughly measures a player’s capacity to hit for average and ISO gauges his power, wOBAc combines the two. Utley, of course, has had a season to forget (perhaps preemptive karma for this? ), as have Lucroy and Martinez. The gap between them and fourth-place Morrison looms large, suggesting that underperformance to this extent doesn’t occur very often. One other thing mostly sets Lucroy apart: He theoretically deserved a great output — not just a good one. While the other players listed above (with the exception of Kemp) have expected wOBAcs around average, Lucroy’s ranked 28th in the aforementioned sample. There’s a big difference between a mediocre player who hit poorly and a phenomenal player who hit poorly; if this model accurately appraises true talent, Lucroy falls into the latter group. As a not-especially-fast catcher, Lucroy will inherently post a lower BABIP and ISO than the average player. He simply doesn’t possess the ability to leg out an infield hit or stretch a single into a double. Thus, perhaps we should expect him to remain below his expected wOBAc in 2016 and beyond. But he does play half his games in a ballpark that generally inflates power numbers, so maybe a bit of overperformance could come around. Whatever happens, I can’t foresee another year of this misfortune. Even with everything breaking down around (and within) him, Lucroy still managed to hit the ball hard and to all fields. 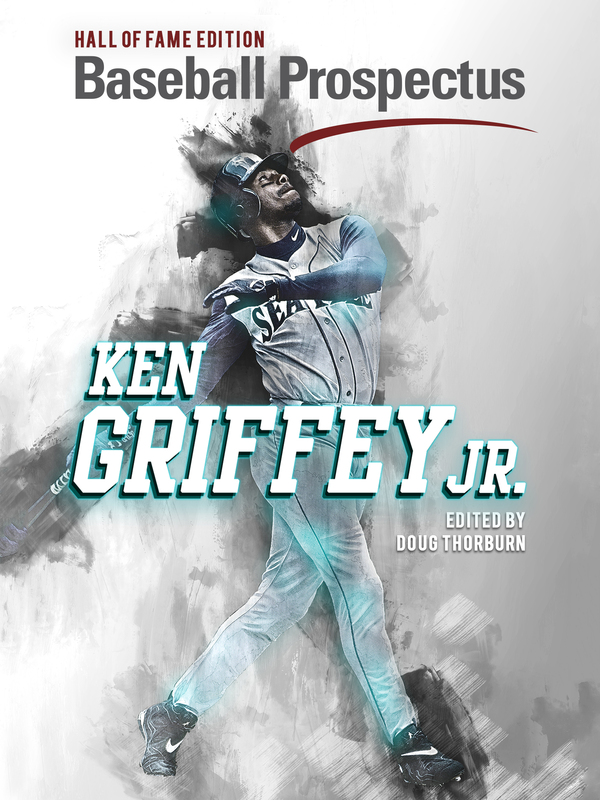 His final batting line might not have shown it, but his talent didn’t disappear. Once the luck dragons decide to breathe their noxious fire on some other poor soul, he’ll hopefully pump his statistics back up, even without a sterling bill of health. Upon doing so, he could help carry the Brewers back to relevance. Ryan Romano covers Brewers baseball at BP Milwaukee, Orioles baseball at Camden Depot, and all baseball at Beyond the Box Score. He's a member of the Philip Merrill Class of 2019. Great piece. Love this perspective.